A Stampin’ Up! workshop is a stamping event where you open your home and invite your friends to enjoy an exciting demonstration provided by a Stampin’ Up! demonstrator. When you host a workshop, you’ll see new project ideas, learn different stamping techniques, and have fun with people you enjoy. 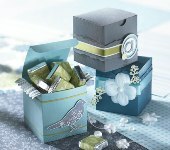 Would you like to receive free stamp or free products of your choice? All you need to do is host a workshop with me! Gather a group of your friends that are interested in stamping (even if they have never picked up a stamp before) and work out a mutual date and time that suits everyone. 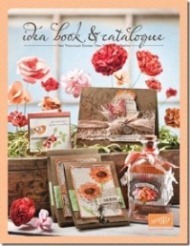 Being the hostess means you get a complimentary Idea Book & Catalogue worth $12.95. Along with the catalogue, you can earn free stamp sets and $ to spend from the catalogue based on the total amount from your orders. Sound good? We can have a chat and work out what type of workshop you would like - beginner or experienced stamper. Contact me with any questions you have or to book your workshop. If you cannot host a workshop but want to order products, you can still earn the free products above. Contact me for more details.